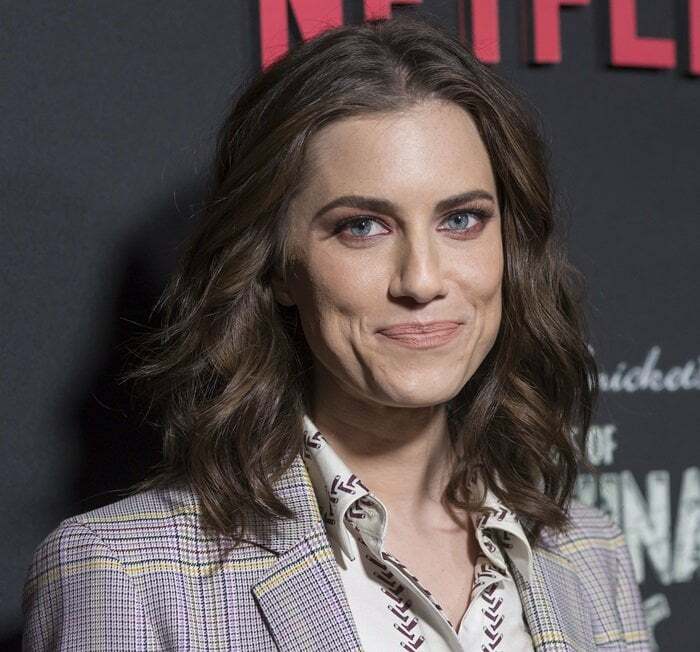 Allison Williams joined Malina Weissman for the season two premiere of ‘A Series of Unfortunate Events’ held on Thursday at Metrograph in New York City. The 29-year-old American actress, comedian, and singer rocked a menswear-inspired plaid suit from Gabriela Hearst’s Fall 2018 collection with her trademark brunette tresses. She completed her ensemble with black suede Paul Andrew ‘Kimura’ pumps that are intricately shaped for a chic look. You can buy them at Saks Fifth Avenue and Farfetch. 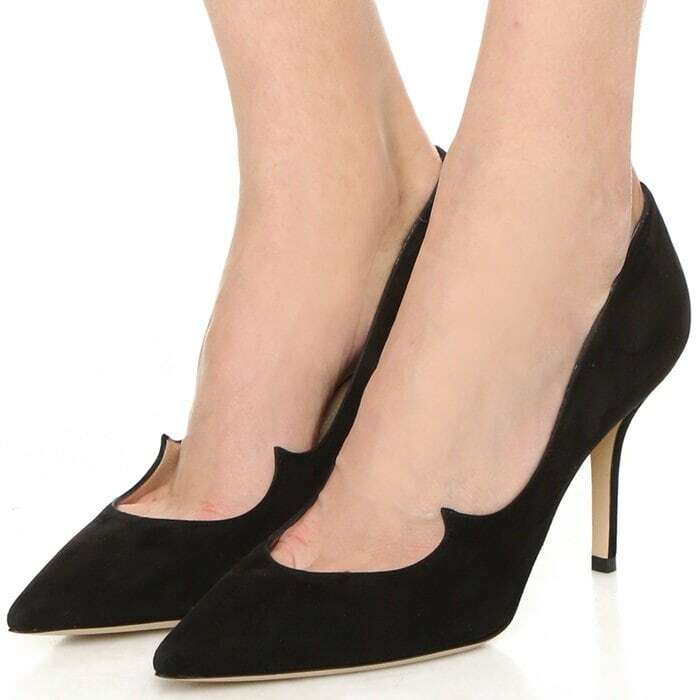 A low-cut, sculpted top line adds an art-deco feel to these suede Paul Andrew pumps.